Lake Arthur, Moraine State Park, Pennsylvania. Taken with a Nikon 18-55mm AF-S VR on a 720nm modified D70. Post-processed with the channel swap technique. 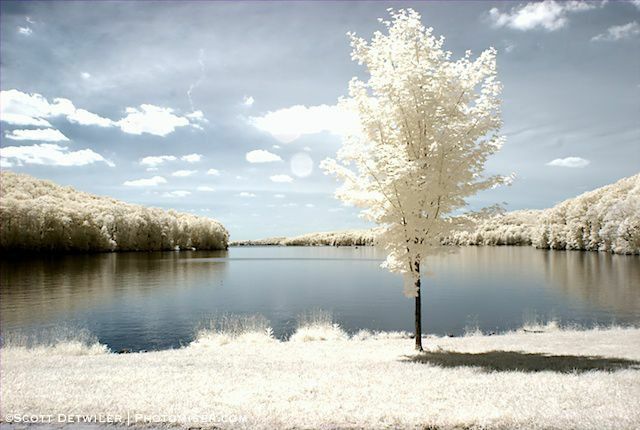 I’ve been here before to take pictures in infrared. Here’s an earlier version from a previous visit, which was taken with a 590nm filter on an IR sensitive camera. This entry was posted in Photomiser Gallery, UV IR Photography.